Ronald Roderique was presented with the Meritorious Achievement Award from Pittsburg State University in 1993, an achievement he considers to be one of the highlights of his career. PHOENIX, AZ, October 25, 2018 /24-7PressRelease/ -- Marquis Who's Who, the world's premier publisher of biographical profiles, is proud to present Ronald Roderique with the Albert Nelson Marquis Lifetime Achievement Award. An accomplished listee, Mr. Roderique celebrates many years experience in his professional network, and has been noted for achievements, leadership qualities and the credentials and successes he has accrued in his field. As in all Marquis Who's Who biographical volumes, accomplishments, visibility and prominence in a field are all taken into account during the selection process. 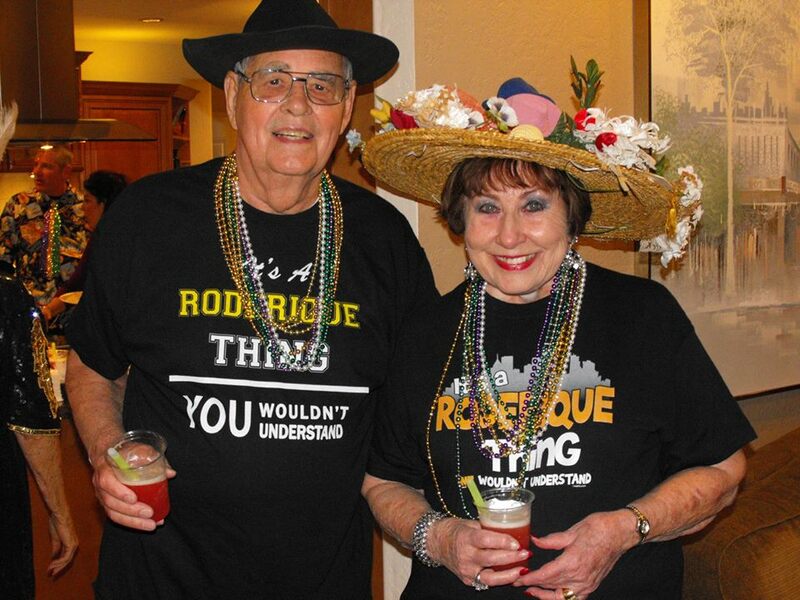 Mr. Roderique began his academic pursuits at Pittsburg State University (Kansas), where he earned a Bachelor of Business Administration in 1953. He was elected President of the Student Council for 1951-52. He received an MBA in Marketing from the University of California, Berkeley, in 1958, Prior to this accomplishment, he served to the rank of Lieutenant Junior Grade in the United States Naval Reserve from 1953 to 1956, serving in the Gunnery Department of the USS Wasp (CVA-18). At Moore Business Forms, Inc. Mr. Roderique held the positions of District Sales Representative in San Francisco, California, from 1958 to 1961. He was Assistant Sales Promotion Manager in Emeryville, California, from 1961 to 1964, and Assistant Coordinator of Sales Training in Niagara Falls, New York, from 1964 to 1966. At National Bank of Detroit he was the Manager of Sales Development from 1966 to 1969 and the Assistant Vice President of Marketing from 1969 to 1970. From 1970 to 1988 Mr. Roderique was the Senior Vice President and Marketing Director at the United Bank of Arizona in Phoenix, AZ. In 1973 he introduced the first ATMs in Arizona. During this time he was also the President of Phoenix Clearing House Association from 1969 to 1970. Additionally he served on the Board of Directors for the Phoenix chapter of Silent Witness from 1984 to 1994, where he was President in 1990-1991. Additionally he was a member of Phoenix Together and the Arizona Town Hall. Mr. Roderique has earned membership in such prestigious organizations as the Arizona Bankers Association, the American Bankers Association, and the Bank Marketing Association where he was on the Board of Directors for the western Chapter in 1986. A Rotarian since 1973, he was in the Phoenix Midtown Rotary Club where he was President from 1981-1982. He is now a member of the Phoenix West Rotary Club. He became a Paul Harris Fellow in 1984. He served as Rotary Governor District 5490 from 1991-1992. In 1999 he was presented with Rotary's highest award, the "Rotary Service Above Self Award." Mr. Roderique was presented with the Meritorious Achievement Award from Pittsburg State University in 1993, an achievement he considers to be one of the highlights of his career. This award recognized all of his labor and efforts in regards to this esteemed academic institution throughout the years. He has been a member of the Moon Valley Country Club since 1999. A strong supporter of law enforcement, Roderique is a 1990 graduate of the Phoenix Citizens Police Academy IX and a Charter Director and Past President of Silent Witness, a private non-profit organization established to provide cash rewards for tips leading to felony arrests or indictments. Utilizing the combined power of the public, the media and the police, Silent Witness is critical in solving felony crimes in our communities and in helping victims receive the justice they and their families deserve. He continues to actively support the 100 Club of Arizona that provides immediate financial assistance to families of firefighters and public safety officers that have been seriously injured or killed in the line of duty. He has previously been featured in Who's Who in the West in 1967. In recognition of outstanding contributions to his profession and the Marquis Who's Who community, Ronald Roderique has been featured on the Albert Nelson Marquis Lifetime Achievement website. Please visit www.ltachievers.com for more information about this honor.